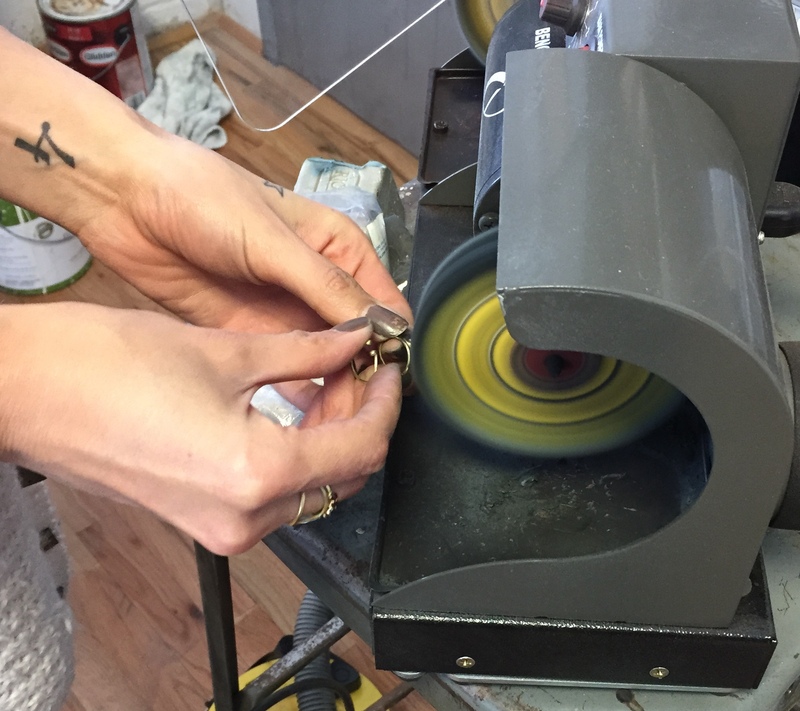 I teamed up with my friend Meghan Lorenz from Cities in Dust to create a sculptural midi ring exclusive for Local Eclectic. Meghan and I have worked together on her lookbooks for Cities in Dust so when the proposal came about to collaborate I jumped at the idea of creating a nail ring. 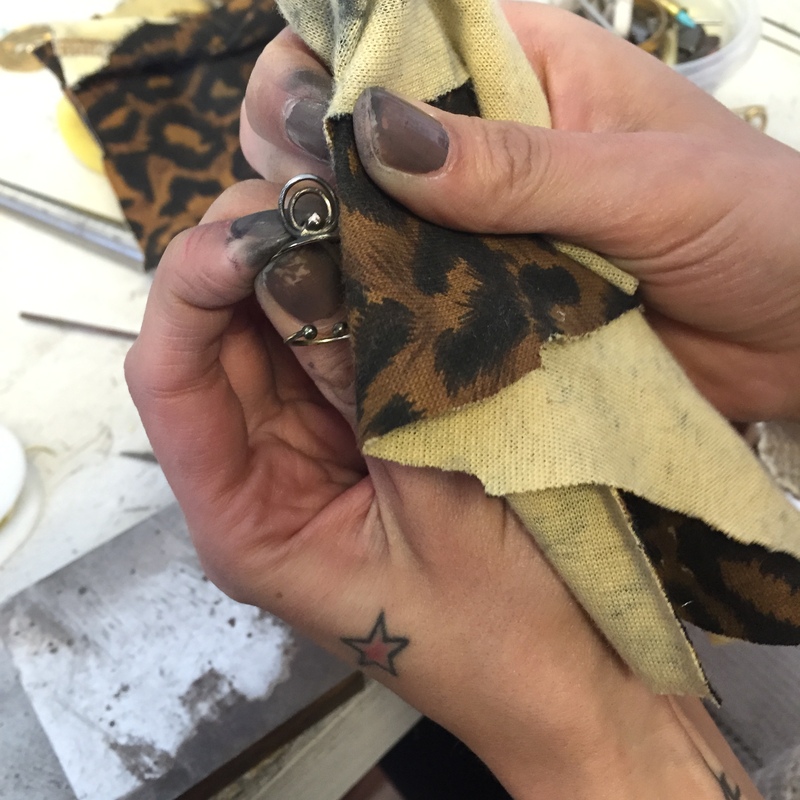 It was important to us that the ring we designed would be adjustable and could fit all nail shapes and sizes. 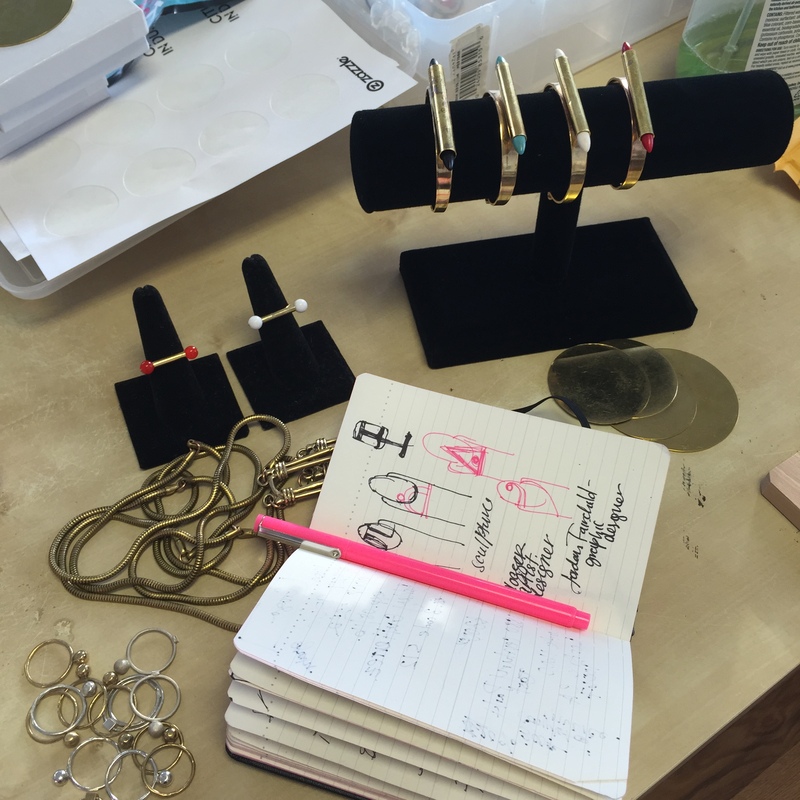 Read on to get a behind the scenes look of our design process. During the design process Meghan and I discussed how we would wanted the piece to look and knew we didn’t want to do a nail shield that had to be glued on, we wanted a fresh and unique take on the idea of a nail ring. Thinking about wearability we sketched out a few ideas and Meghan started soldering metal pieces together. We wanted the piece to appear as if it was floating on the finger and decided we would consider the design concept as sculptural nail art. The ring was designed to enhance and compliment a manicure. It’s also multifunctional and can be flipped to be worn as a midi ring as seen in the photo above. 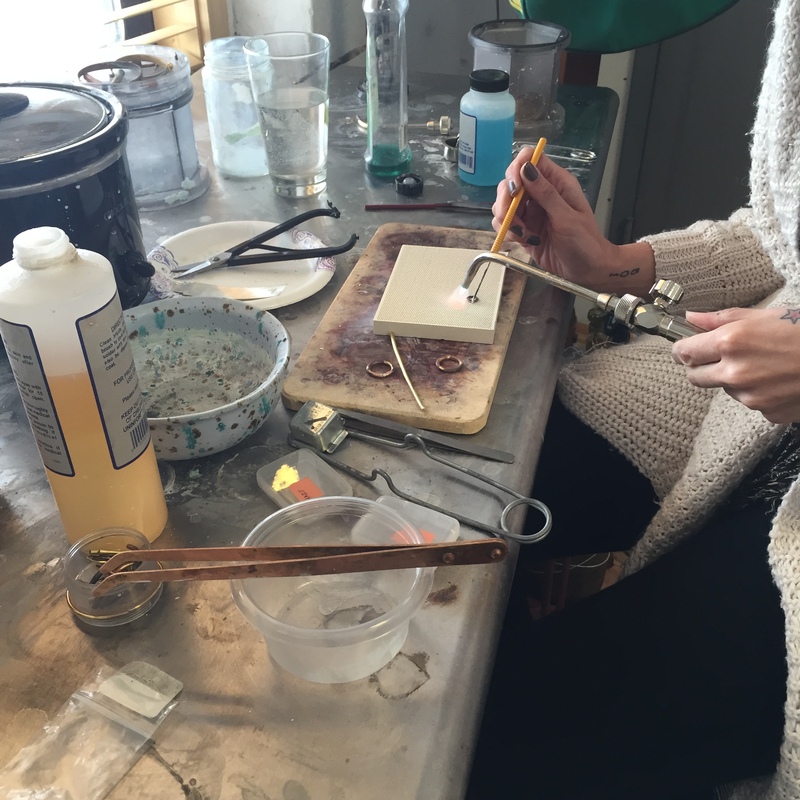 Once polished and soldered by Meghan we had our prototype ready to be casted. 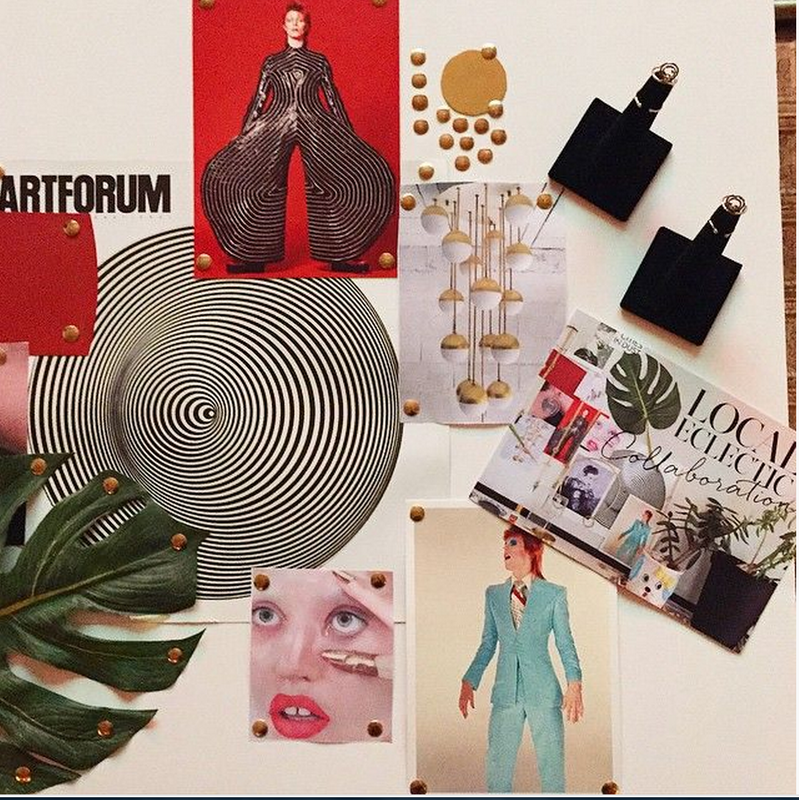 I admire Meghan’s eye for design and art. Pulling inspiration from the David Bowie Is exhibit recently at Chicago’s Museum of Contemporary Art, Meghan wanted to tribute the teal and red into the lookbook inspired by photos from the exhibit. 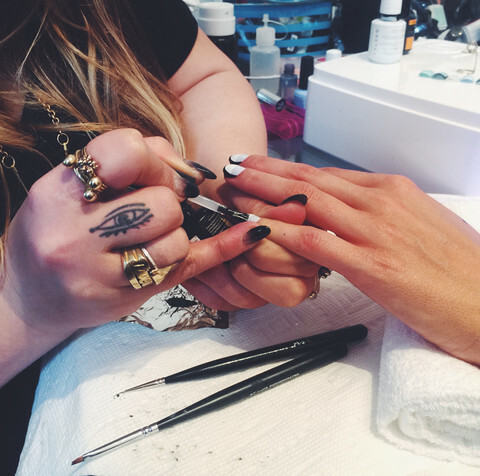 When designing the final nails for the shoot I wanted a look that would frame and compliment our ring. You can find the step by step tutorial courtesy of Local Eclectic. 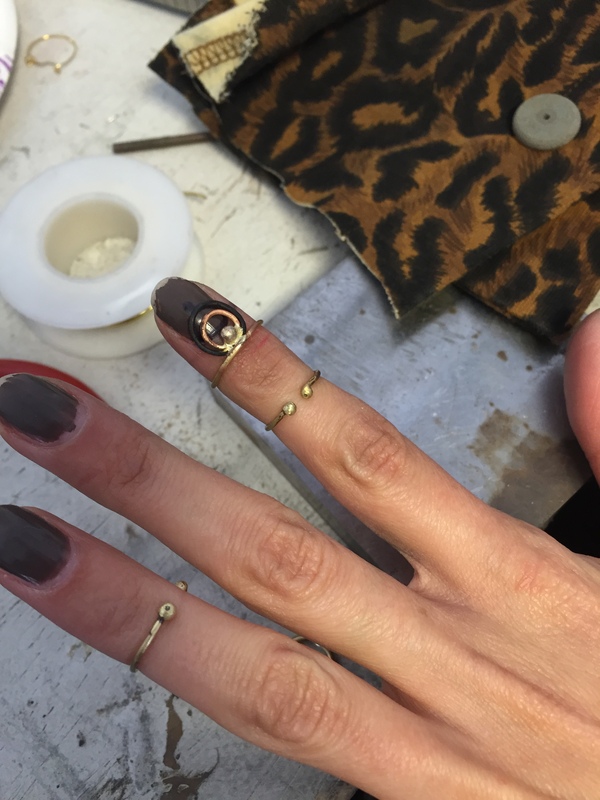 The final nail ring is made of brass and is available to purchase at Local Eclectic.